It’s official: Marvel’s Defenders are going to contend with Ellen Ripley in their first crossover season. At New York Comic Con, Marvel announced at its Iron Fist panel that Sigourney Weaver was confirmed to play the primary villain in The Defenders. No details about her character followed, but there’s plenty of room, as always, to speculate. Any villain who could threaten all four of Marvel’s Defenders — Luke Cage, Jessica Jones, Iron Fist, and Daredevil — is likely to be a powerful quasi-business person. Daredevil’s primary concern is Wilson Fisk, Jessica Jones defeated a well-dressed Kilgrave in her first season, Luke Cage still needs to take down Shades Alvarez and Mariah, and Iron Fist, from the look of his first teaser trailer, will be combating quite a few businessmen in corporate-looking hallways. The Defenders, in short, is not the type of team to take down a character like, say, Galactus. A street team of heroes needs a street-level villain, and that’s where Sigourney Weaver will come in. So who might she play? 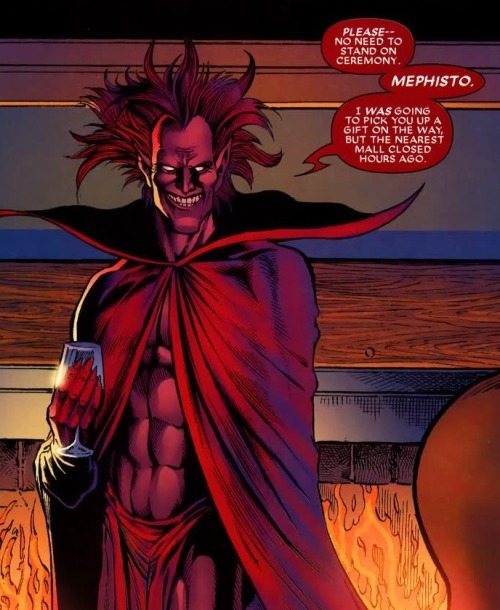 It was rumored in July that the villain combatting the Defenders would be Mephisto, essentially the MCU’s stand-in for Satan, though those rumors were never confirmed. Of course, when Mephisto was the name on fans’ minds, it was still possible that Luke Cage might contend with members of the Serpent Society, which didn’t actually come to fruition. However, there’s still every possibility that the smoke around Mephisto means fire. This wouldn’t be the first time the MCU had switched the gender of a primary character (Tilda Swinton’s Ancient One in Doctor Strange is not typically female in the comics), but it would certainly be an unusual move. In Marvel comics, “The Hand” actually refers to a group of ninjas. One of the greatest warriors that belonged to the Hand was Daredevil’s on-again, off-again partner Elektra, who is portrayed in the current MCU by Elodie Yung. Elektra’s former leader, and current head of the Hand, could be played by Sigourney Weaver. Originally written by Brian K. Vaughan, Hood knows Wilson Fisk from childhood, and by chance, he once witnessed a fight between Daredevil and Elektra. In his adulthood, Hood experiences an encounter with a demon, which gives him the ability to turn invisible. Although gender-swapping might not do anything in particular for Hood, the villain has been mentioned quite often in rumors regarding The Defenders series, so it’s hard to let this one go completely. A rare already-female Marvel villain, Moonstone first appeared in 1975 as a villain for Captain America. Behind her villainy, she’s a wealthy woman named Karla Sofen who works as a psychologist. In counseling a supervillain, she comes into contact with an extraterrestrial gem, which transfers its powers from her villain patient to her. Moonstone is a stretch for Weaver, though, who’s likely to play a cerebral baddie, rather than a combat-hungry warrior. Sin first appeared in Marvel comics in 1984. In the comics, she’s the daughter of Captain America baddie Red Skull, but her lineage could always be massaged for Marvel’s Netflix series. What makes her an intriguing choice for Sigourney Weaver’s character is her history with mental illness and PTSD: As one of the MCU’s most critically acclaimed actresses, Weaver would bring an emotional depth to this villain that’s rarely seen in comic book adaptations.